Ask A Cimarron Vista MARKET EXPERT! DESCRIPTION A great location directly across the street from a huge park with green space, playground, paths, & sports court - houses rarely come up for sale on this quiet family friendly street! Great curb appeal with front porch where you can relax & watch the kids play. High-end upgrades are in abundance in this charming 2-Storey, such as the open stairwell & railing that is usually a wall in this floor plan. 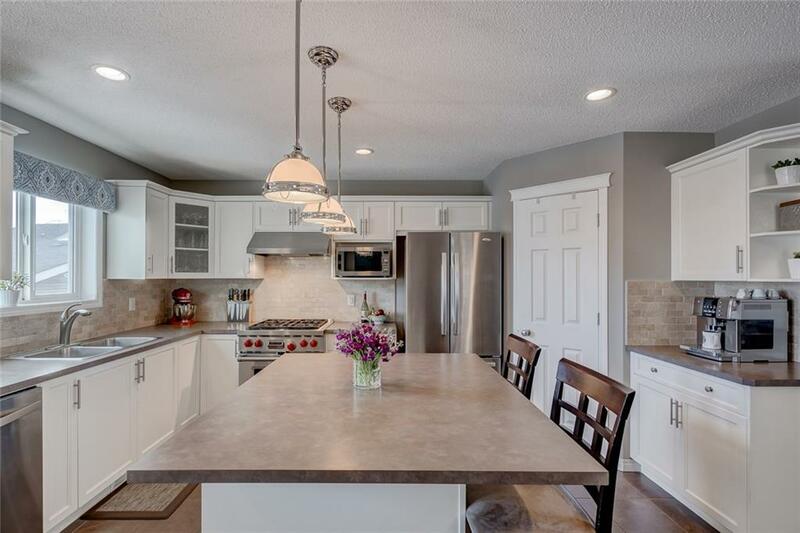 Open concept main floor features large living room with custom built-in & gas f/p, flowing into the dining, & kitchen with top of the line stainless steel appliances, large island, & walk-in pantry. 3 bdrms on upper level, all with walk-in closets. 2 full baths, incl 4-pc ensuite. Fully finished walk out basement includes family room, rec room, 4th bdrm, bath, & laundry. New gas H2O tank, a big upgrade from electric tanks in most surrounding homes. Backyard is fully fenced, with large deck off the main level & parking for up to 2 vehicles. There’s nothing left to do but move in! Home for sale at 218 Cimarron Vista Wy Okotoks, Alberts T1S 0K7. Description: The home at 218 Cimarron Vista Wy Okotoks, Alberta T1S 0K7 with the MLS® Number C4232874 is currently listed at $369,900.